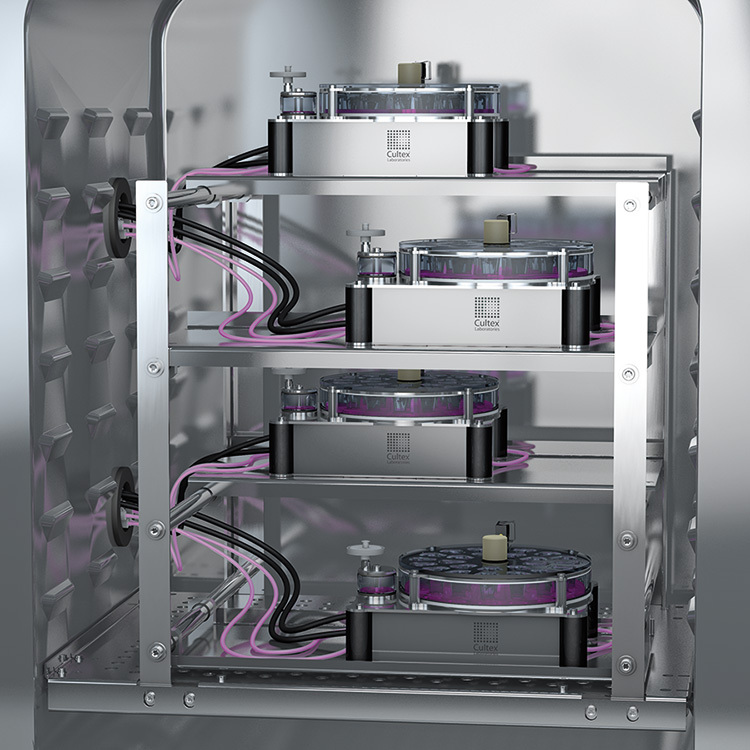 An optimal installation of the CULTEX® LTC module inside an incubator can be achieved by using the specially designed CULTEX® LTC Rack. It takes up to four modules, which can be run in parallel. The construction guarantees a horizontal position of the cultivation unit thus providing comparable medium levels in all culture inserts.